The data table contains links to high-resolution images of the core. Wisconsin has a wide and varied geology, and the physical properties of Wisconsin’s aquifers and aquitards reflect that variation. The Wisconsin Geological and Natural History Survey has created a database of the porosity and density of core samples collected from drill holes around the state. 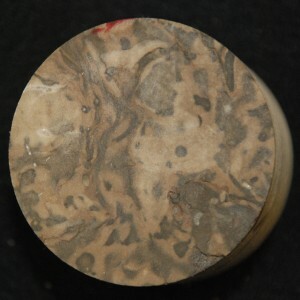 We provide high-resolution images of the core taken from different depths. Porosity is an important parameter in groundwater studies where it is used to estimate storage and travel times in aquifers and aquitards. Density is commonly used in gravity surveys to help determine the thicknesses and variation of different rocks. It also provides some general information about mineralogy of the rock grains.